Mental health issues and air pollution: what’s the link? With Clean Air Day being marked across the UK on 21st June 2018[i], anyone interested in mental health might like to consider the links between poor quality air and poor mental health. The connection between air pollution and deaths from respiratory and cardiovascular causes is well established in the UK and elsewhere, but Clean Air Day presents us with an opportunity to think about the direct ways in which air pollution might be contributing to poor mental health outcomes too. 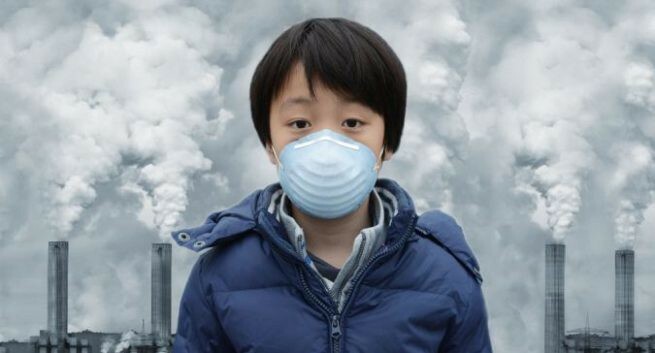 Is it too far fetched to think that air pollution could actually cause mental illness? In 2015, it was estimated that 7.6% of all global deaths were attributable to the presence of fine particulate matter in the air[ii]. In the UK, up to 40,000 premature deaths from air pollution are estimated to occur per annum and up to 6 million sick days are attributable to unhealthy air[iii]. With a current mortality gap of over 10 years in the UK between those with and without major psychiatric illness[iv], at the very least psychiatric patients are likely to be disproportionately affected by mortality and physical morbidity attributable to poor air quality. However, there is now emerging and compelling evidence that air pollution may directly influence adverse mental health outcomes, certainly as far as suicide, dementia and anxiety are concerned. Good quality environmental epidemiological studies have recently started to emerge from across the world outlining a link between suicide and air pollution — particularly pollutants such as fine particulate matter and Nitrogen Dioxide. Recently published research from the Far East[v], Europe[vi] and the United States[vii] show a small but important effect of short term increases in air pollution on completed suicides, although the neurobiological and neuropsychological mechanisms that could underpin this are speculative at this stage and largely unexplored[viii][ix]. Anxiety appears to be associated with exposure to high levels of small particulate matter[x], whilst there is increasing evidence that Emergency Department attendances for psychiatric reasons are related to high levels of air pollution[xi]. Finally, a widely reported[xii] study published in the Lancet in 2017 showed a substantial increase in the incidence of dementia in people living close to major roads[xiii] — the implication being that air pollutants from vehicles were the main mediating factor. As evidence for the health benefits of cleaner air accrue, it becomes easier to push policy makers into action — this was highlighted earlier this month by the Mayor of London in conversation with the Royal College of Physicians[xiv]. Of course, an added benefit of reducing air pollution is that CO2 emissions will also fall — taking the UK nearer to its goal set out in the Climate Change Act of 2008 to reduce carbon emissions by 80% by 2050. Significant physical health benefits have been predicted if we can manage to meet our CO2 emissions targets[xv], perhaps we should be shouting about the potential mental healthbenefits too? So, as psychiatrists why not use Clean Air Day 2018[i] to promote the health benefits of a cleaner, less polluted environment for us, our communities and our patients. For more information on the health impacts of air pollution see the UK Health Alliance on Climate Change, of which the Royal College of Psychiatrists is a member.